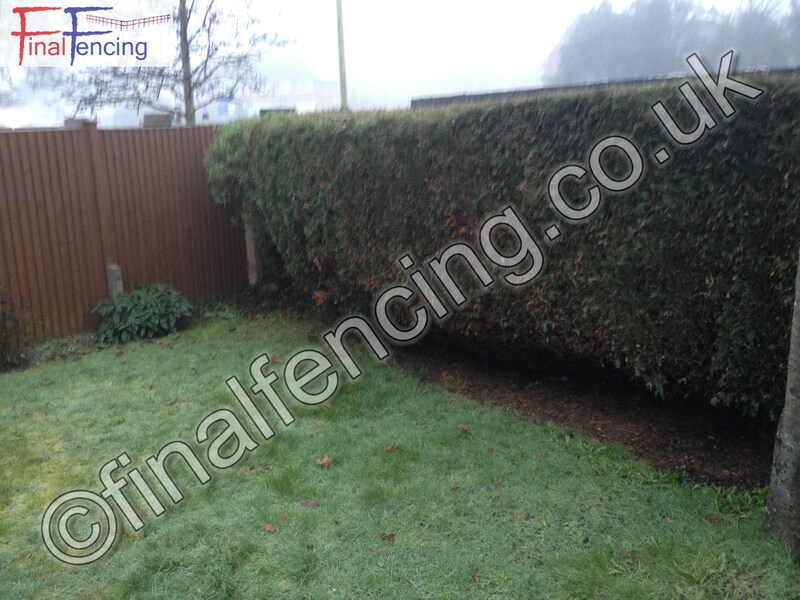 At Final Fencing we often have to clear the fence line before a new fence can be installed. 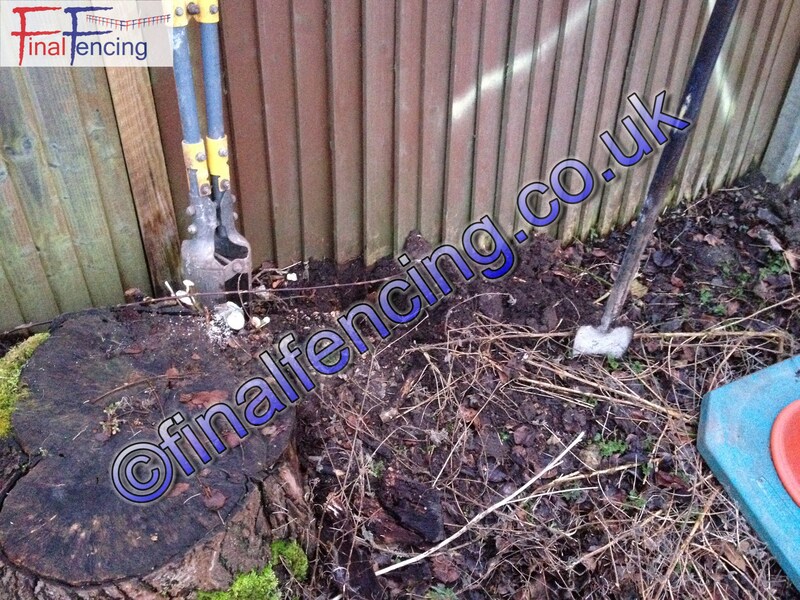 We can offer stump removal and line clearance as a separate costed job or include it as part of the fence installation. Physical removal is normally the best solution. Why do tree stumps need to be removed? How will the stump be removed? 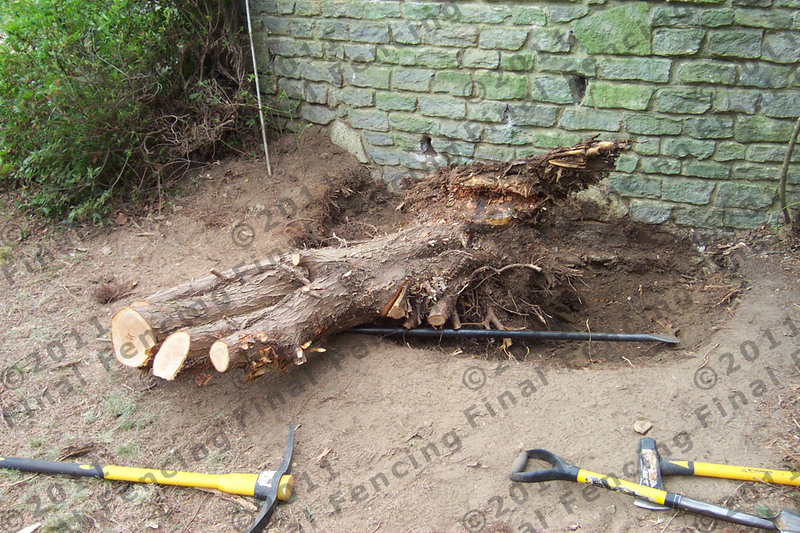 If the stump is too large to be removed by hand then a specialist machine will cut the stump into small pieces of wood. Specialist in narrow access sites. We select the most appropriate, least disruptive method. 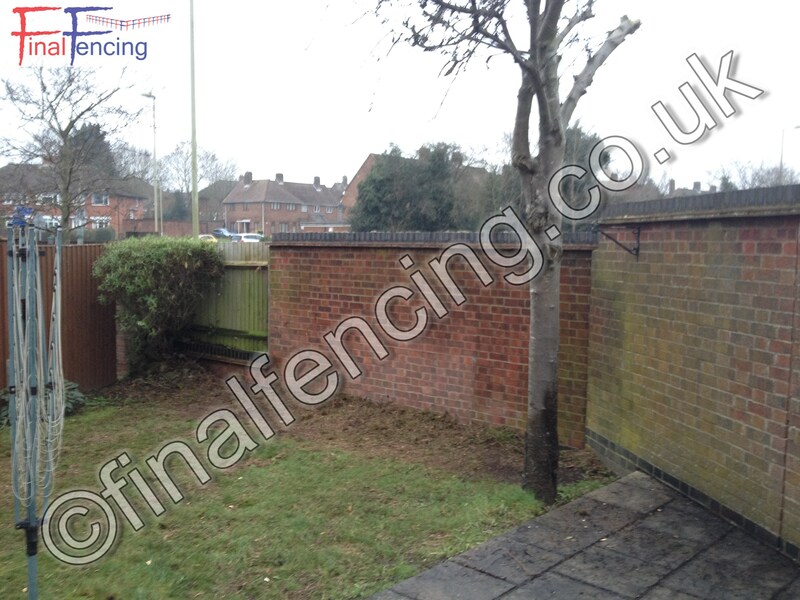 We always work with care and consider the surrounding environment and potential services. Some small roots will inevitably be left in the ground but the majority should eventually rot down. 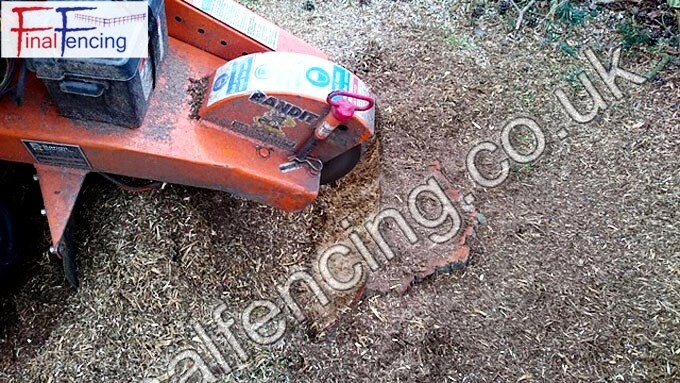 We generally leave the sawdust on site as it serves as excellent mulch and fills the void of the roots of course. We can however remove this if required. 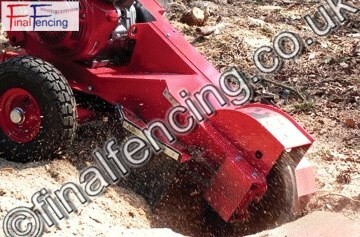 We can also re-instate the ground with top-soil or grass seed/turf. Hand grubbed root When a root needs to be removed very close to a wall this is the best way.